Assorted Guzmanias at Pierson's, in Cedar Rapids. "What they don't want you to know about the plants" is a verbatim Google search that brought some anonymous (and, presumably, disappointed) person to PATSP many months ago. The idea tickled me, and I've wanted to write a post on the subject ever since, but it was obviously a problematic topic while I was working -- it's not a good idea to blog about what "they" don't want "you" to know about the plants when "you" are the "they." Now, though, "they" are "they" and "you" is "me" and "scare quotes" are "scare quotes" and the post seems much more writable. It feels a little weird: though most of this is stuff I've talked about on PATSP at one time or another, this is the first time I've collected it all together. When I was actually in the business of selling plants, these weren't things I necessarily shielded all customers from knowing about -- if it was relevant to the situation, I'd generally let you know -- but I also didn't rush up and give everyone unsolicited lists of reasons to take their business elsewhere, either. And most of these things would apply anywhere a customer could go anyway, so telling people about it wouldn't have benefited anybody. 1. The soil is probably crap. This was really not our fault at all, and it's not likely to be different anywhere else, but it's true: most of the time, the potting mix the plants were in was what they'd been shipped to us in, i.e., mostly peat moss, which is unsuitable for most indoor plants: peat holds water too long, and then becomes water-repellent when it dries, making it too wet when it's wet and too dry when it's dry. It also tends to lead to fungus gnats. I assume the growers use it mainly because it's cheap, but I'm not sure: in the warmer climates where tropical houseplants are produced, it may be that you actually need something that will hold a little water on the plant, lest you be forever watering. A fungus gnat, as close-up as any of my cameras have yet been able to manage. I think it's kinda cute, though admittedly they're cuter when you can't see quite as much detail. Anyway. Bad soil is not a particularly good reason not to buy a plant. One, it's fixed easily enough by repotting, which you may need to do regardless. Two, everybody's plants come from the same places and are potted in the same mix. 2. We sprayed pesticides in here less than a week ago. Where I worked, we sprayed pesticides every week, usually on Saturday night after the store closed.1 The specific pesticides in question changed from week to week, but the spraying itself was a constant. This might be a legitimate reason not to buy a plant, if you know you're sensitive to certain kinds of chemicals, though most people don't handle, lick, or consume their plants enough to where I can see it making any kind of difference, and even if you do, plants can also absorb dangerous chemicals from indoor air. I'm on record as believing that the air-purifying qualities of houseplants have been criminally oversold and probably don't matter in most home situations,3 but a very tiny absorption of toxic chemicals from the air would more or less balance out any very tiny release of pesticides that happen to be on the plant when you buy it. Also, even the most chemically-fertilized, pesticide-drenched houseplant will become an organically-grown plant if you grow it organically, so in the long run, you're probably ahead, chemical-exposure-wise, to buy the plant anyway. Big box stores like Lowe's and Home Depot do not, as far as I'm aware, spray their plants while they're in the store, though they'd generally have been sprayed before they were shipped, so you can't expect to avoid pesticide exposure by shopping in those sorts of places. Organically-grown houseplants do exist, but I'm only aware of one location in Iowa that ever sold them. It's in Ames, I've only been there once, it was three years ago, I don't know the people who ran it, I don't know if it still exists,4 and I was a little uneasy about buying stuff when I was there because I saw bugs in the sales area. So the idea might still need some work. However, organic produce is mainstream(ish) now, and people have been generally anti-pesticide for a long time, so one might see organic houseplants in stores in the future. 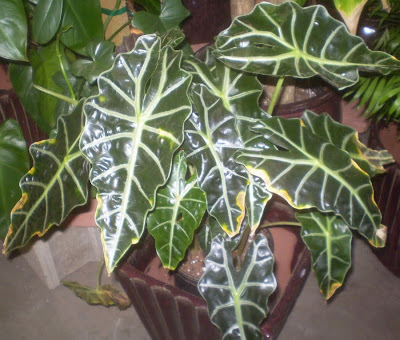 The first person who figures out how to grow houseplants organically, for prices comparable to conventionally-grown houseplants, and is able to advertise the fact effectively, stands to make a lot of money. I don't know whether anybody's trying yet. 3. It may be cheaper somewhere else. 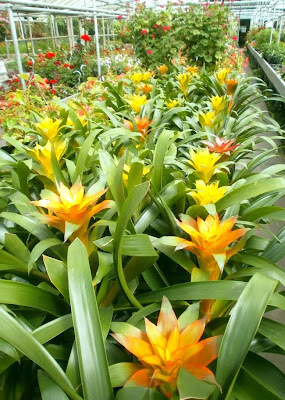 There are many good reasons to buy your houseplants from a locally-owned garden center, as opposed to a large chain store like Wal-Mart or Lowe's, but price is not one of those reasons. From what I've seen, the prices on small, non-succulent plants (in 3- or 4-inch pots5) tend to be approximately the same anywhere you look, but cacti and succulents, or large tropicals, get considerably more expensive at independent garden centers. Seasonal blooming plants like Cyclamen or poinsettias also tend to be cheapest at box stores, and even grocery stores, though you take more of a gamble on the quality of the plant itself and the advice you receive about its care. Florists are potentially better on the advice, but also the most expensive places to buy plants, from everything I've seen. 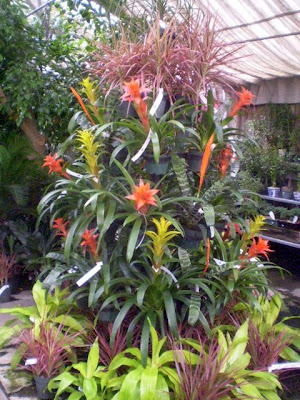 Bromeliad-and-Dracaena display from the ex-job. I don't patronize local places exclusively, though when I checked it out with the spreadsheets, I was a lot closer to doing so than I would have guessed.7 It wasn't a deliberate, principled decision to keep my money local. That's just where the selection is broader and weirder, so that's where I've tended to look. Lowe's has better prices, but they also have the same twenty plants over and over and over again. 4. Some of the plants are not good long-term prospects. The industry could provide better information on this point than it actually does, but they don't have a lot of incentive. The most demanding plants are also often the prettiest, with a few exceptions, and people impulse-buy pretty things a lot more than they impulse-buy plain things. It doesn't pay to put obstacles in the way of these impulse purchases by, for example, telling customers something about the plants. So if there's anything at all, it's probably just a name and "easy-care." I've seen so many plants called "easy" and "low light" that were definitely not, that I consider claims like this to have no meaning whatsoever. Freedom's just another word for nothing left to lose; easy-care/low-light's just another word for for-sale. Alocasia amazonica 'Polly,' which I've seen called easy-care but not, yet, low-light. It's unfortunate but true that retailers run the risk of making no sales at all, if they try to steer customers away from potentially bad experiences. Not every customer is willing to listen to the how-to-grow, once you've said a plant is difficult. I know I had more than one customer who put down bad choices readily enough, but then never picked up a better one: sometimes it might have been better for the business (if not the plant or the customer) if I'd just told people what they obviously wanted to hear. Because of this, any plant seller immediately jumps up several notches in my estimation if they'll admit that a plant is difficult, and immediately becomes a favorite place to shop if they can tell me in what way it's difficult and how to grow them successfully. This is vanishingly rare anywhere, but it's more common at independent, local garden centers. 5. Some of the plants are barely rooted. This took me a while to clue into, but one day a customer wanted to buy a Yucca guatemalensis, and have us repot it, and when I took it out of the grower pot to put it in the new pot, I discovered that it barely had any roots at all. 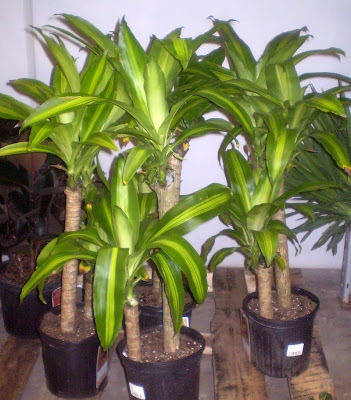 This is mainly only a problem with plants grown by sticking a section of mature cane into a pot until it starts to sprout new foliage, something that gets done a lot with Yucca guatemalensis, Dracaena fragrans (there's a reason why they're so often damsels in distress), and Polyscias species. My recommendation would be, don't buy sprouted-cane sorts of plants unless you can see some roots coming out of the drainage holes, or sticking a finger down into the soil hits some roots. Tugging the plants to see if they shift or pull out is also a method, but obviously the retailer's not going to be happy with you if you pull all the Dracaenas out of their pots. Barely-sprouted cane sections of Dracaena fragrans 'Massangeana,' as they are usually sold. 6. Some of the plants have bugs. I am convinced that if you start out with one plant, and add one at a time to any given location, be it a personal collection or a sales floor or whatever, once you reach some critical number of plants, you are guaranteed to always have some kind of bug problem happening at any given moment. I'm not sure what the critical number is: personal experience tells me it's higher than 15 and lower than 850. I realize that doesn't really narrow anything down. Now, you'd think that being sprayed with pesticides weekly would fix this problem, and make the bugs go away, this being what pesticides are supposed to do. They don't. Bugs come in from the suppliers, they wander in from outside, they find places to hide from the pesticide and then re-emerge when the spraying is over, they evolve resistance to the sprays. There will be bugs. Somewhere. Lurking. Knowing what they look like, and checking a plant carefully before you buy, is important. Aphids: sometimes they'll be big enough to see actual bodies, but I've also seen them looking like a sprinkling of sand or dust on the surface of a leaf. They can be green, yellow, whitish, black, red, and probably other colors I've forgotten. Aphids on a Brugmansia. You may have to open the picture in a new window to see them. Mealybugs: resemble gray-white fungus or cotton on the plant, especially under leaves and where leaves join stems (the axils). They're tricky because some plants naturally have fluffy white cottony bits on them, so it can be difficult to tell if you've got a mealybug or if that's just how the plant is. When in doubt, don't buy. Watch for mealybugs everywhere, but especially on cacti and succulents. Scale: scale are really hard to identify, especially when they're on woody stems, because they look like the natural bumps of the stem. If they're on the underside of a leaf, or on an otherwise-smooth surface like a Cereus peruvianus stem, they're easier to detect. Scale will come off if scratched with a fingernail; natural bumps and pits won't. 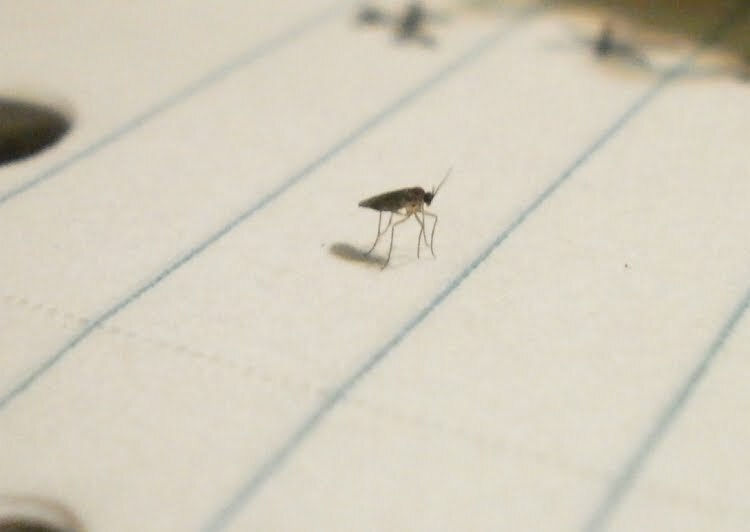 Fungus gnats: tiny, blackish, slow-moving flies that fly around when you bump the plant. They're most common in peaty, overwatered soil, whatever the plant is. I don't personally consider fungus gnats a big enough problem to reject a plant, since they're not that harmful, really, but your tolerance may vary. Whiteflies: also tiny, but in this case white. Sometimes when they fly around, they look a little bit like cigarette ash floating around in the air: they have that same erratic movement. You'll notice them if you bump a heavily-infested plant, but smaller infestations are easier to miss. 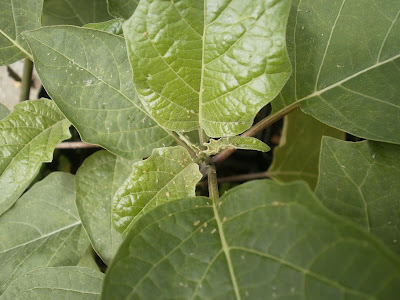 Check the underside of leaves, especially on thin-leaved tropicals. They're especially fond of Hibiscus, Abutilon, poinsettias, and basil. Whitefly on Hibiscus rosa-sinensis. It's not usually quite so obvious. And remember: at least one of these bugs is somewhere in the store with you. You can just about count on it. So be vigilant. I don't mean, with this post, to make it sound like buying a houseplant should be a particularly intense emotional experience for you. Most plant purchases work out just fine so long as you have #4 and #6 covered: know what you're buying, and check it for bugs. But the other things are still occasionally relevant, and in any case, this is the best answer I can give for "what they don't want you to know about the plants." So, my mysterious Googler, I hope you see this someday. Sorry it's so late. 1 Because we closed earliest on Saturday nights, and opened latest on Sunday mornings, so that was the longest period during which no one would be in the greenhouse. 2 Perhaps it's self-centered of me, but I think the pesticide residue was a bigger issue for me and the other employees than it would have been for customers. I mean, I wouldn't have eaten our herbs, most of the time, but we did only use stuff that was supposed to break down relatively quickly, that was safe to be around once the greenhouse was reopened, and very little residue would have been left on any specific plant. Plus some more would have washed off once we watered the plants on Sunday morning. So the exposure a person could get by walking through the house would have been minimal (one might take a bigger risk eating an apple), and it would have been just the one time, too. But for those of us being exposed day in and day out, the risk didn't seem as trivial. I worried about it; I did. 3 Though in cities and buildings with very poor indoor air quality, having plants is surely not going to make the situation any worse. I just don't like the tactic of manipulating people to buy plants based on air-quality issues that plants may not improve or that aren't even problems, like when people talk about plants oxygenating the air, like low air-oxygenation is a common problem in our modern world. There is a word for not having enough oxygen in the air: it's called suffocation. If your bedroom gets life-threateningly low oxygen levels at night, one, you'd already be dead and therefore not in a position to be buying plants, and two, having a peace lily in the corner wouldn't save you anyway: houseplants don't grow fast enough to make a significant difference. The same thing goes for people who worry about their plants releasing carbon dioxide at night (which most of them do, though there are exceptions): there isn't enough of it to make a difference, and it's not worth factoring into your decision to buy or not buy a plant. Possibly if you had seven or eight hundred of them in a small house, someone with an finely-calibrated oxygen meter might be able to tell the difference, but what kind of nutbar is going to fill their house with hundreds of houseplants? I mean, seriously, you'd never be finished watering. It'd be insane. 5 Metric equivalents not provided because I'm not even sure if this is true throughout the U.S., much less being true around the world. 6 Actually, the talking bit would mostly depend on what it had to say. I mean, suppose I got a talking unicorn that was really into football or Twilight or something, and that's all it ever wanted to talk about. Also it wouldn't have to be a unicorn. A horse would probably be fine, if it granted wishes and talked: the horn's really more just decorative. But the gold coins thing sounds nice. Perhaps I should think about this a bit more. "Big box" stores cover nationwide chains like Target, K-Mart, Wal-Mart, Lowe's, etc. "Chains" are stores which are also widespread networks of stores, but which don't have national coverage or gigantic stores: I think the only ones that apply are Earl May, a local garden-center chain, and Ace Hardware, which might be national but tend to be physically small stores. Part of the "Grocery" category is also chains (Hy-Vee, which is local to the Upper Midwest U.S.), and part isn't (the now-defunct grocery where I worked for a while a long time ago), which in retrospect I probably should have divided that up differently. "Free from businesses" is mostly stuff I salvaged from the ex-job; a solid chunk is also from Wallace's, the Begonia leaf they gave me (I had permission) a couple years ago and have since propagated the hell out of. 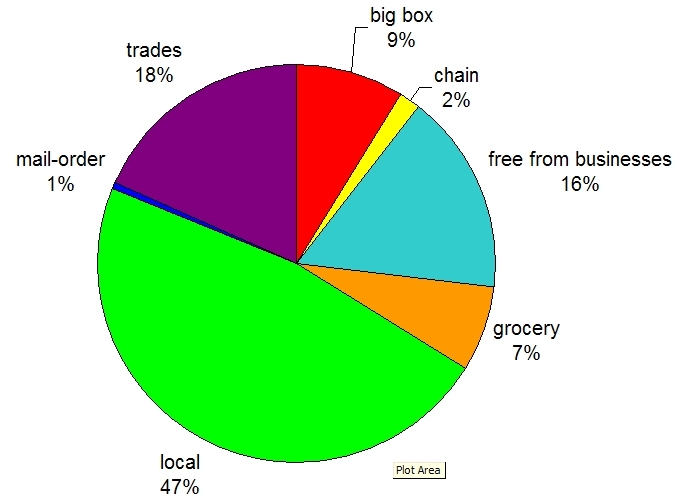 But the point stands: of the plants I have at the moment, only 11-18 percent of them are from any kind of chain, 48% are from small businesses (mail order counts) and 47% are from local, independent area businesses. I honestly would have thought I'd bought more from Lowe's than that, but the spreadsheet says only 46 plants, out of 867, and the spreadsheet knows all. I'm also shocked at how many of my plants are here via trades. Would not have guessed that, either. 9 Actually, in a perfect perfect world, there wouldn't be insect pests in the first place, I suppose. Wonderful post, but what about the really cool plant you just bought? I was looking forward to seeing what it is. It's not nice to tease, Mr_S. Re: Lowe's availability. I may just be lucky, but Lowe's in Austin has a surprisingly decent variety- way better than Sears, HD, or WM. I haven't been disappointed with the quality, either. I got my San Pedro cactus there and it's tripled in size since Feb.
HD, on the other hand, sold me late blight tomatoes and mislabeled peppers last year (they were supposed to be orange bells, but they're red hot-hot mutants). The fuschia I got my old housemate from there also suspiciously developed a whitefly colony very shortly after I bought it. I won't buy plants from them again. Completely verified on the poor potting soils, too. I repot (or plant in the ground) anything I get within a week due to bad desiccation experiences. See, now I'm worried that everybody's built it up to be something really amazing when it's not. It's a perfectly ordinary species of plant, but a variety I hadn't previously seen in person and never expected to see. Working towards a post which includes it tomorrow, though it could be Thursday. The Lowe's near me is not that bad, especially for succulents, but they only seem to have them at certain times of the year, and most of what they've got is the same stuff over and over: you have to look pretty closely to find anything out of the ordinary. And then once you find them, there's a good chance they've been so poorly maintained that they're not worth buying. I still almost always check Lowe's whenever we go anywhere, because it's a good place to buy stuff experimentally. If I'm paying $19.95 for a plant from an indy garden center, it has to be something that's going to work out well, but if I'm at Lowe's, I can throw $3 or $4 at something I'm less sure about, just to try. Home Depot, on the other hand, is never good, which bewilders me. Great post! I once heard a garden center employee at Lowe's tell a customer not to buy the tomatoes yet, since it was still well before the last frost date and it was destined to die. I admired her honesty. Haha re: the suffocation. The air quality benefit claims have always cracked me up. I'm guessing that you have problems at home with rapid oxidation of iron and occasional explosions. Be careful with those open flames. Interesting post. It's true, if you garden long enough, you will figure most of these things out on your own, but it is hard on the new or slow-learning gardener (lol). I have plants I buy at Lowe's and Walmart, and there are things I only buy at independent garden centers. I also check plants thoroughly for bugs now, after a few unpleasant experiences with bugs that must have been INFESTED, and I didn't check, then I had to remove bugs from multiple plants that had no problems before. It still happens from time to time, but at least I look. Ha ha...I meant plants that must have been infested with bugs. It's REALLY bad when your bugs are infested with bugs. jeez. There are two more things that they don't tell us. 1. They use certain chemical to make plants look short and compact, e.g. Ficus microcarpa. They sell it as bonsai, but the new shoots are so long, as it could be a hanging plant. In fact the plant isn't suitable to grow as bonsai. 2. Flower bulbs like tulip and hippeastrum. All of them said if you do this and that, they'll be flowering every year. I doubt it, because I've been trying few times. Probably it's my fault. Regarding peat moss besides it's cheap I believe they use it because it's lighter than normal soil. Lighter pots save shipping costs, especially when they are imported through air. I think that, though garden centers risk loosing a sale when they don't tell a customer the truth about a plant, they risk convincing someone that they "don't have a green thumb" if they sell them crappy or hard to grow plants as if they were easy. It's true that no amount of scrutiny is going to be able to catch every potential bug problem. And I actually don't always remember to look, especially if I'm really excited about a particular find. But knowing what infestations look like has at least saved me quite a bit of grief. And yeah, when the bugs get bugs, it's probably time to throw the plant away. 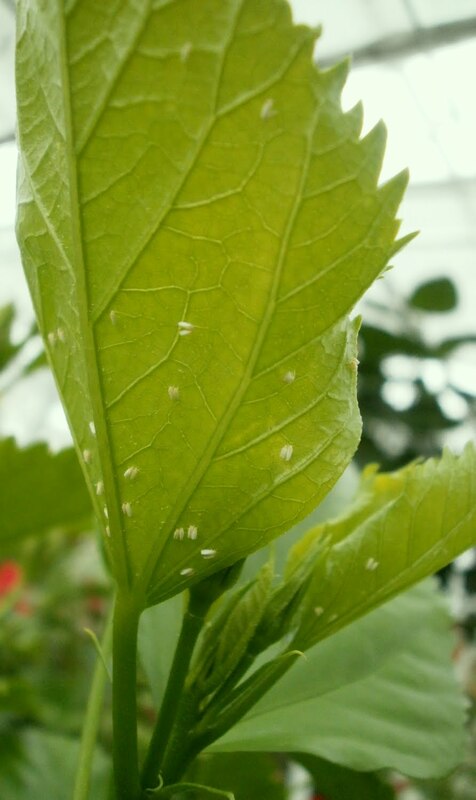 Though some pest-management systems do utilize things like predatory mites, to eat spider mites, and in that case bugs with bugs would be good. Yes. Damn it. That's something I forgot. Chemicals for dwarfing plants, for forcing blooms, for forcing offsets, etc. I have yet to experiment with flowering bulbs much, but I wouldn't be surprised if the long-term feasibility of growing them were exaggerated. I know. I know. It doesn't make any sense to me either. My guess is that there just aren't enough people out there who have it in them to become houseplant obsessives to make providing the information economically viable. Even among the people who like plants and gardening and such, a lot of people don't like houseplants, because they (the people) are insane, stupid, evil, or some combination thereof. I mean, I don't necessarily think businessmen and -women are brilliant, but I trust them to, most of the time, be able to notice what makes them the most money. Apparently there are more people who impulse-buy without caring what the plant is, and then buy a new one when it dies, than there are people who kill a plant and decide that because it died they should never buy another plant. Wow, that was one heck of a detailed and informative post - thanks! I completely agree btw - I found out pretty much all the points you made myself (in other words, the hard way), having bought plants from stores and growers throughout '08 and the first half of '09. Sometimes, it's hard to walk that line between telling enough truth that I can still respect myself and keeping enough quiet/phrasing it in such a way that I can still sell the plant. I have to say, I love it when you try to be honest with a customer, to hold their hand and guide them to what they really need, but no, they're going to insist if they buy this Hibiscus rosa-sinensis, and plant it outside (Zone 7 at best), because it's next to a dryer vent it will be OK.
She would not listen. I could not budge her opinion. I hope that plant blooms it's little heart out for the next two months because that's all she's getting. Yeah, it's not fun. I usually sided with the plant and customer, as opposed to the business, and tried to match person and plant as well as possible, but of course that also sometimes led to people leaving without buying anything. On the other hand, I could also honestly say that I'd grown most of the plants at home myself, which I like to think helped people consider plants they otherwise might not have. Or made me sound more authoritative. Or something. I actually liked those sorts of customers better, because I felt like my duty was done once I told them it wasn't likely to work out for very long. I mean, it's a little insulting to have your advice completely disregarded, but at least it's a sale, and you don't have to feel bad about it after. "but what kind of nutbar is going to fill their house with hundreds of houseplants? I mean, seriously, you'd never be finished watering. It'd be insane." Honey, it could be a hoya and you will delight us with it. Not to worry.